Yesterday we were able to prepare our whole cross-country trail net new again; it is warm and wet but the snow cover however age well. The wet parts were drive around and we pushed some snow at the snowless parts. 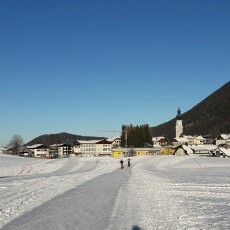 The sun shines; so we wish a lot of fun on the cross-country slopes in Faistenau! 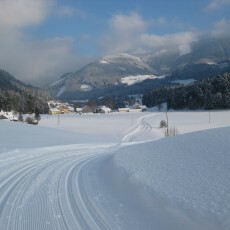 All cross-country trails are fresh prepared, the conditions are good. At some parts and especially in the morning and evening it could be icy, so be careful. 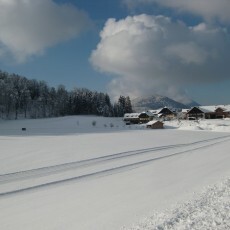 Blue sky, the sun shines, we wish you a lot of fun!